Kwanalu, the Kwa-Zulu Natal Agricultural union, reflected on twenty years at the forefront of transformation in agricultural at its annual congress held today (Thursday, 7th September) in Pietermaritzburg. The annual event, this year themed “Trailblazers of Transformation, was attended by Kwanalu members, farmers from all regions of the province, agricultural-industry leaders and national industry representatives who came together to pay tribute to an organisation which rose out of the ashes of Apartheid by embracing the new South Africa 20 years ago. In 1997, against all odds, and in the face of intense pressure, the then Natal Agricultural Union (NAU), the National African Farmers Union (NAFU) and the South Coast Indian Farmers Association merged, and Kwanalu was born. “Looking back over the last 20 years, Kwanalu has positioned itself as the leading union for organised agriculture in KZN and leads the way nationally as a fully integrated, transformed and relevant organisation,” said Kwanalu CEO, Sandy La Marque, who has been at the helm of the organisation since 2001. Talking about land reform, Buchan stressed that change is necessary. “The objective of land reform must be to produce self-sufficient farmers capable of contributing to food security of their families, communities and ultimately to the economy at large. Kwanalu and its affiliates recognise the need for land reform, but the simple acquisition of land without the necessary support to sustain a living, is degenerative and doomed for failure” said Buchan. Award-winning journalist, anti-apartheid activist and political commentator, Max du Preez addressed delegates as the “custodians of our soil and producers of our food.” Speaking at length on land reform, Du Preez recognised that land displacement in SA is a historic fact and an emotional issue driven by pride, arguing that it is not about agriculture in the first place. For that reason, he stressed that an aggressive approach to government about land reform will only “back fire” on the agricultural industry; encouraging instead more talking and more strategising as a solution. Du Preez added that the modern definition of land ownership has shifted away from being a status symbol and is now about producing food and providing employment. “Farming has become a business – there is no place for emotion or nostalgia anymore,” Du Preez said. 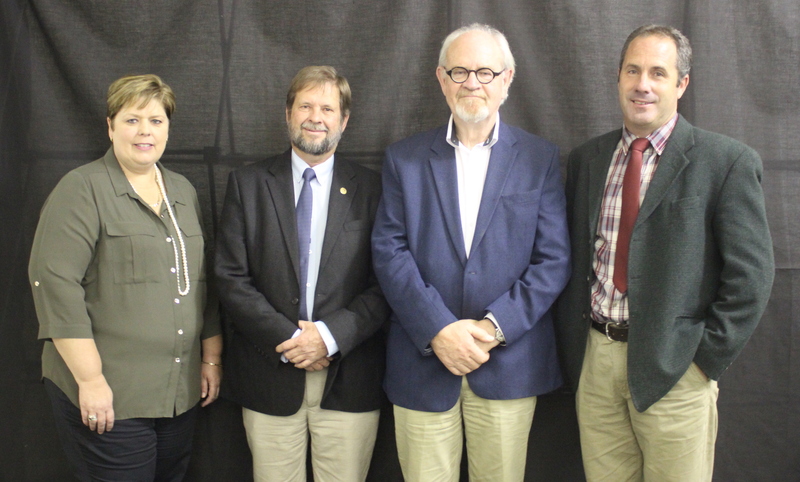 Agri SA President, Johannes Moller who also addressed Congress, committed to renew AgriSA’s focus on implementing policies, facilitating change and ensuring transformation is implemented, in a sustainable manner, to ensure food security is a top priority. Further cause for celebration at this year’s Congress was the announcement of the 2017 Kwanalu KZN Young Farmer of the Year. 38-year old golden kiwifruit farmer from Richmond, Ross Lowe, beat off stiff competition to take this year’s title and will now go on to represent the province at the national Toyota SA/Agri SA Young Farmer of the Year 2017 taking place in October. “We are always blown away by the calibre of entries we receive for the Kwanalu KZN Young Farmer of the Year competition and this year has been no different. It is encouraging to see our young farmers so involved and passionate about agriculture and farming in the province,” said La Marque on announcement of the title. “In Ross, we think we have a real winner – someone who is taking agriculture to the next level by exploring new opportunities – and we wish him the best of luck at the national competition!” she added.